I've ummed and ahhed about writing this post for a long time. Part of me felt that, as a stay-at-home mum, I didn't really have a right to rant about this issue. But then it occurred to me that maybe I'm the right person to rant about it, to show that nobody wants this stupid label, not even the mums to whom it supposedly applies. The label I'm referring to is "full-time mum." It's a label I've been given a fair bit when I've said that I 'stay at home' with my daughter. (That's also problematic as I don't actually stay at home with her, believe it or not we leave the house on a regular basis. But it's the lesser of two evils.) I've never been comfortable with this label, and have always been careful to avoid using it myself. Why? Because by calling me a full-time mum, you are implying that working mums are part-time mums. Which is absolute nonsense. There is no such thing as a part-time mum. I'm willing to wager that a woman who leaves her children in childcare or with another relative in order to go to work thinks about those children all day. In many cases, working mums will be going out earning money that is essential to give their children the upbringing they wish for them. I fail to see how a woman who spends however many hours and days away from her children in order to pay for the roof over their heads, the food on their plates, the clothes on their bodies and maybe even a nice holiday or two for them, is any less of a mother than one who stays at home. Not that I'm saying that the only reason a mother should go back to work is financial necessity. There are lots of reasons why a woman would want to go back to work - perhaps she has a highly rewarding career, and so will serve as a fantastic role model to her child. Perhaps she needs the mental stimulation of being elsewhere and doing 'non-mum' things in order to be the best possible mum she can be when she is with her children. And there are probably countless reasons I haven't even thought of too. Whatever the reason, you don't stop being a mum at nursery drop-off. Before I had Toddler, I went to work five days a week, and for all that time spent in the office I was still a wife. How is this any different? Yes, I'm a full-time mum. As is the mum who works three days a week. As is the mum who works five days a week. As is the mum whose children are in school now. As is the mum whose children are adults and have long since left the family nest. Once you become a mum, you never stop being one, not even for a minute. Whatever you do career-wise, it's as full-time as you can get. In my last post for the Breastfeeding Diaries, I was considering night weaning. I thought at the time that Toddler was showing signs of wanting to night wean ... nup, wrong about that one!! The problem now is that she's almost dry at night now, but the night feeds tip her over the edge from time to time. Night 1 - Feed child when they wake for a feed, but put them back in bed awake and settle by patting/stroking etc. Night 4 - Pick up and cuddle child, but do not feed. Put back in bed awake and again settle by patting/stroking etc. Night 7 - Do not pick up child, settle in bed with patting/stroking etc. And continue until child stops waking up. Great! Night weaning in just 10 nights! Sign me up! Night 1 - Feed child, but as she instantly closes her eyes, have no clue of whether she's properly asleep or not and end up putting her back to bed asleep by accident. Night 2 - Feed child, catch her just about on the cusp of sleep so a little back rub suffices. Feel like all is not lost, ignoring fact that she's getting a bit of a cold. Night 4 - Pick up child and cuddle for a bit, then get confused over whether Night 1 really counted so end up feeding her anyway. Get her to bed just before she falls asleep, again a back rub suffices. Night 5 - Pick up child and cuddle, but by now the 'bit of a cold' has descended into a full-blown snot-and-cough-fest. Feel guilty. Feed her but still console self with the fact that she goes to sleep in her bed. Just. Night 6 - Snot-and-cough-fest continues. Abandon night weaning attempts altogether. So either night weaning in 10 nights is not really realistic as life (and snot) gets in the way, or ... I'm just a bit rubbish at night weaning. The Breastfeeding Diaries: To night wean or not to night wean? Last time I posted for the Breastfeeding Diaries I was really struggling. The whole experience of breastfeeding a toddler was becoming really irritating, and part of me really felt like stopping. Then, all of a sudden, it got easier. I can't even tell you what about it changed. She's still messing about quite a bit, although perhaps less than before. She still has days where she seems to want mummy milk every time I sit down. She still wants feeding in the night. I think it must just be that my attitude has changed. Writing my last post, and reading the responses, seemed to prove to me that I do want to carry on until Toddler is ready to stop. And, in hindsight, things were generally quite stressful at the time of the last post - my husband is a teacher and so had just gone back to work after the summer holidays, so we were both getting used to our previous routine and not having Daddy around as much. Once we'd got back into the swing of things, everything, breastfeeding included, felt easier. Something interesting has happened this week, though. We've been talking for a long time about attempting night weaning, but it has never felt like the right time - nights would probably get worse for a while before getting better and there's always something we need to conserve our energy for! However, in the past couple of weeks Toddler has started to be dry at night. (She's not dry in the day, far from it - trust my daughter to do things the wrong way round!) This has thrown up problems as she has woken in the night asking for the potty a few times, then it's really hard to get her back to sleep, so we have revisited the idea of night weaning as a way of reducing these night-time potty visits. This is something my husband and I had only discussed, and not in front of her, but suddenly she started talking about sleeping all through the night without mummy milk! Hurrah! Could this mean that she might night wean of her own accord? We're not getting our hopes up yet, because it still hasn't happened! Although at most bedtimes recently she has said that she'll just have a cuddle in the night and go back to sleep without mummy milk, when she has actually woken up and I've offered a cuddle she has been distraught. It's interesting. Last night, for instance, I went through, sat by her bed and offered to cuddle her and she started to cry. At first in amidst her sobs were phrases like, "want to go to sleep without mummy milk," and, "want to have a cuddle," but if I put my arm round her she'd push me away. She got more and more worked up, then started saying, "want mummy thing! want mummy thing!" then she pointed at my chest and cried, "want THOSE!" (Nice, kid.) So I picked her up and took her to the chair for a feed. I'm not sure what to make of this. Is it Toddler wanting to night wean but struggling with it? Or has she picked up that we want her to night wean and is trying to do it but doesn't really want to? The fact that she felt she couldn't ask directly suggests maybe it's the latter, but then we've talked to her about night weaning before and she hasn't even tried. Maybe she's caught between still wanting the comfort of breastfeeding in the night but also feeling uncomfortable from a full bladder and starting to understand the link between drinking and needing a wee. I really don't know. So, at 33 months, breastfeeding is feeling a lot easier generally but is throwing up some tricky questions! Still, it does seem that we may be a step closer to night weaning, even if there are many steps to go, so that's a bonus! In most of my posts for the Breastfeeding Diaries I've tried to focus on the positives of nursing beyond infancy, or at least end on a high note. Unfortunately, I don't think this post is going to fit that trend. Toddler is now 32 and a half months. I had hoped to allow her to feed as long as she wanted to. But now I feel like I'm hitting a wall. It's hard to put my finger on what's different suddenly. We've had tough spells before where I've felt like giving up, but that was generally when she was teething and nursing could get quite painful. I kept going through those times by telling myself that she needed the comfort of breastmilk at that time, and of course by the time the tooth emerged, things were easier again and I was happy to continue. But this time the issue isn't pain. It's, for want of a better phrase, pratting about. Those cute little quirks I mentioned in my last post on this subject, like the weird positions and the attempts to read and talk whilst feeding, are getting exasperating. I don't know whether they're becoming more regular, or I'm becoming less patient! It's compounded by a lot of 'on-off' behaviour and little habits like trying to put her fingers in her mouth while feeding. She's also getting more grabby and will try and pull my top down when she wants milk, of course oblivious to whether not it is a good time and place to be exposing her mother. On more than one occasion recently I've said that if she can't be sensible with mummy milk maybe we need to stop. I'm not just saying it to get her to stop messing about in that moment - I'm genuinely feeling like maybe it is time. But then I've no idea how I would go about stopping anyway. I still feed her to sleep for her nap and when she wakes at night, and I don't know if I can really face the hassle of changing that. Also, she still asks (nay, demands) to be fed quite regularly so I know she's still keen and deep down I don't want to put her through the upset of stopping. I think I do want to carry on. I think. But I don't want to carry on if it's always going to be this annoying. I've tried talking to her about it but she is not quite ready to understand yet I don't think. If anyone reading this has been through something similar and has some pearls of wisdom to share, please do comment! We're in the throes of potty training at the moment. It's not going well. In fact, it's not been going well for around three months now. Three months or, as it feels, a PIGGING ETERNITY. I'd love to be able to write you a really informative blog post about how to potty train in a gentle, respectful way. But I can't. I can, however, tell you what NOT to do – because I've done it all myself. Pounce on the very first tiny sign of possible readiness at a ridiculously young age (19 months, in case you're wondering) with such zeal that your child then becomes afraid of the potty and refuses to tell you what's going on in that nappy of hers. After giving up the first attempt, abandon the very notion of looking for signs of readiness and decide that the only sign you need is that her cloth nappies aren't fitting her very well any more. Yeah, that's really not an indication of readiness. Other things that aren't actually signs of readiness include: it's summer, daddy is on holiday so around to help, all her peers are doing it already. No, honestly, NONE of these things are connected to your child's ability to control her bladder. Who knew? Aim for complete inconsistency. Try nappy free time but then decide you are squeamish about breastfeeding a bare bottomed toddler so insist on training pants. And a nappy for outings and naps. So basically she has NO IDEA what covering (if any) her posterior will have in the next ten minutes. Try to avoid clean ups by persuading your child to spend her nappy free time sitting on the potty watching TV or YouTube videos, thus making her think she's entitled to screen time EVERY TIME she sits on it. As soon as you're starting to make progress, go away for a few days. Somewhere that makes continuing with potty training hopelessly impractical. Forget to check whether there's anything in the potty and then trip over it. Really. No. Breastfeeding - there is no normal. And that's normal. I don't know if it's because I'm a first-time mum, or particularly neurotic or a bit of both, but I seem to spend a lot of time worrying about what's 'normal'. As if there's some benchmark of child normality and if my daughter doesn't fit that, then I must be doing it all wrong. Now that I've had a bit more practise at parenthood, I can usually quash these worries with the silent mantra, "It's normal for her." Toddler is very much her own special person, and she's all kinds of ace, so who cares if she's not like another child her age? But when she was a baby, when that brilliant personality wasn't quite popping out yet, when all I had to go on was her weight and nappy habits, I was always anxious about whether she was 'normal', by which I mean whether I was doing it 'right'. Breastfeeding was a particular source of anxiety, especially as most of my mum friends were formula feeding either partly or wholly so I had a skewed sense of comparison. I remember worrying about how long each feed took, and obsessively counting the number of feeds my daughter had in a day to make sure she was getting enough. And the older she got, the woolier the guidelines got and the more I worried! I wish I'd seen this when Toddler was a nipper! She took aaages to feed - I remember once being late to a baby group because she had spent 70 minutes on the first side!! Some of the reactions and comments I got at the time made me feel like this was completely wrong, that she was just 'using me as a dummy'. (A bizarre phrase - what exactly did babies do before dummies existed? Oh yes, they comfort fed!!) But actually, I think those long, leisurely feeds helped me to build the strong supply I needed at the time - and that has seen me through for the last 30 months of breastfeeding! When Toddler was a newborn, knowing how many feeds she needed per day was easy - "8-12 times in 24 hours" was seemingly plastered on every surface of the maternity wing! But as she got older, there was very little guidance about how often she 'ought to' be feeding - aside from baby training manuals which I steered clear of due to the fact that they generally made me want to hurl them against the nearest wall. I got the vague impression that she 'ought to be' feeding less from around the age of four months, and then still less after solids were introduced at six months, so I gradually reduced the number of times I offered a feed. Looking back, I don't think it's a coincidence that it was around four months that she dropped off her centile line, never to return. I wish I'd known then what I know now - that it's perfectly fine for a non-newborn to still want regular feeds. Heck, at two and a half she still has around 7 or 8 feeds in a 24 hour period! I think it's really encouraging that research is out there to show new mums that 'normal' just doesn't exist. Ignore the advice that says babies should be fed every four hours, or that you should limit time at the breast. Every baby is different, every mother's supply is different. Trust your baby to show you when they're hungry, and trust your body to give them what they need. Because in most cases that's all you need! Pushchair bans - Is our society anti-child? Recently I saw a story that got my goat. A cafe bar in Leeds has imposed a ban on customers bringing in pushchairs, citing health and safety reasons. But this isn't what has got me annoyed - no, it's the comments from Joe Public commending the cafe for their actions, and even saying pushchairs should be banned from buses. Yes, you read that right. There are people who think PUSHCHAIRS SHOULD BE BANNED FROM BUSES. I'll come back to the hideousness of that point later. But even the comments that restrained themselves to merely discussing the horrors of buggies in eating establishments also tended to rail against the noise of crying and screaming from the children. So even if the parent had used a sling, or carried baby in using a car seat, this would still not have met with the approval of these miseries. This is the revealing part of these reactions: the pushchairs aren't the problem. It's the children. There seems to be a surprising number of people who see children as an inconvenience. Never mind the old adage about children being seen and never heard - these people don't even want to see a child. They apparently think that parents should stay at home and raise their offspring behind closed doors, so that they don't get in the way of the oh-so-important grown ups. Back to the bus point. Imagine this - you're a mum of two small children. You don't have a car. You need to get somewhere that isn't in walking distance - perhaps you need to go to a particular shop, or you have a medical appointment. Now, it's conceivable that if you had one child you could pop them in a carrier, but if you've got two, unless you're really adept at tandem carrying then your only real option is a buggy of some kind, and to take that on the bus. But what if that wasn't an option? What if these perpetual moaners got their way, and buses banned pushchairs? What would you do then? Being a parent can be a very isolating experience. Suddenly just getting out of the house is tough. If you have no car, getting anywhere further than you can walk is a battle. And yet there are people in our society who want to isolate parents even more, to cut off their access to public transport. There are still more that feel aggrieved by parents who dare to try and have a nice lunch out, or even just a coffee, with their children in tow to break up the monotony of the day or to have some much-needed time with friends. It makes me fume. Children, and by extension their parents, are increasingly treated as irritants. In one of the playgroups I go to, the version of 'Wheels on the Bus' they sing contains the line, "The children on the bus make too much noise." Yes, that's it, tell them they're noisy and annoying from infancy. That'll really help their sense of self-worth and belonging. The trouble is, a baby who is kept indoors for fear of offending others, a toddler who is taught that they are inherently bothersome, a child who is made to feel unwelcome in public places becomes a young person who is disengaged and disrespectful. Because why should they engage in a society which has been putting them in the wrong since birth? Why should they show respect for people when they haven't been shown any themselves? Perhaps if we all accepted children as part of our society, wholeheartedly and with open arms, then we would be able to maintain a more harmonious relationship with young adults. Just a hunch. And wouldn't that be worth walking around a buggy for? One thing I haven't talked about much on this blog is the fact that I'm breastfeeding my toddler. Part of me has reservations about posting about this, as I know breastfeeding can be an emotive and divisive issue - and 'extended' breastfeeding even more so! But it feels strange to gloss over it, as it is a pretty significant part of my relationship with my daughter. After all, it's something we do surprisingly regularly on a daily basis! A few weeks ago I saw that Zena's Suitcase was starting a Breastfeeding Diaries link up and I started to wonder whether I should join in. It is such a great opportunity to share stories about nursing, and perhaps a voice from the 'extended' breastfeeding camp would add something to the mix. 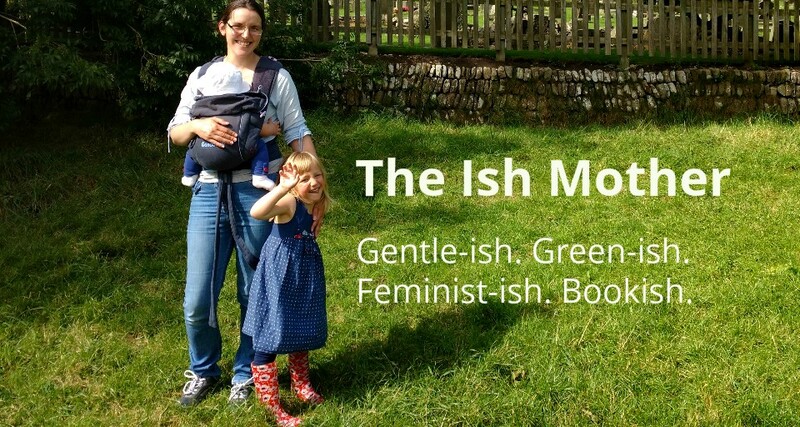 Also, by talking about my experience, perhaps I could go some way towards demystifying the slightly thorny issue of breastfeeding a toddler, by showing that it isn't the preserve of hippy earth mothers* - all sorts of mums breastfeed beyond infancy! At the time of writing Toddler is just eight days shy of being two and a half. So what is it like breastfeeding a two and a half year old? Well, it's fidgety - if she's in a restless mood she will twist and contort to alarming degrees during a feed. She also likes to have things to hold onto and play with while feeding, so I will regularly have to breastfeed her while being hit in the face with a book or while a toy car navigates its way round my chest. But it can also be calm and snuggly - nowadays, the most sustained cuddles we have are during feeds, especially when she's a bit tired or has just woken up. Yesterday she wanted 'mummy milk in Mummy and Daddy's bed' after she'd woken from her nap so we snuggled up together for about quarter of an hour. I could practically feel the oxytocin flooding my brain as I held my still-slightly-snoozy little girl in my arms and told her how much I love her. It's draining at times - if she's teething, or something developmental is going on, she can feed on an hourly basis during the day. Fortunately she only has one or two night feeds, but the demands of regularly producing milk throughout the waking hours can be tiring. On the flip side, if I wasn't breastfeeding I'd have to find some other way of comforting and reassuring her - at least this way I get to have regular sit-downs! And, most importantly, it's her call. Some people say that breastfeeding beyond infancy is just about the mother's needs. It's not. Seriously. Have you tried getting a toddler to do something they don't want to? Do you really think a toddler could be persuaded to latch on and feed against their wishes? I only ever offer 'mummy milk' at nap time (to get her to sleep, because I'm too lazy to battle her to sleep through other means) and before we start the bedtime routine. The rest of the time, she asks for it - nay, INSISTS on it! The time will come when she decides to stop, and that's fine, but it's her call. I'm not forcing her to breastfeed, I'm just not forcing her to stop either. I hope that joining in with the Breastfeeding Diaries means that more people will get to hear about 'extended' breastfeeding in a positive, down-to-earth, normal way. Because really, I'm not much different to any other mum. And my daughter is not much different to any other toddler. We just happen to do something that, in this society, is seen as different. But it's the most ordinary thing in the world to us. * P.S. Sorry if you're a hippy earth mother, you're great too! In fact, I'd love to be more like you but I'm a rubbish hippy. Honestly, I've tried. I'm beginning to suspect that Toddler is what people in gentle parenting circles would call 'spirited', and what people in not-so-gentle-parenting circles would call 'difficult', 'demanding', 'a handful' and maybe even 'wild'. How I describe her very much varies according to how stressed I am about it!! She's not a 'bad' child, if you can even use that word to describe someone so young. She very rarely lashes out at other children, and while she will sometimes hit or kick me it's never maliciously - she either thinks it's funny or she's registering her frustration at me trying to change her nappy or physically restraining her from doing something dangerous. She can be defiant, but it's generally in a good-natured, jokey way. She's just not the kind of child who can sit still, or wait for things, or ... well ... do as she's told. This is challenging enough for me at home but I have to admit that when we're out the eyes of others makes it seem so much worse. Yesterday, for instance, I took her to the library, as I do every Tuesday, for their Rhyme Time session. She had been getting a bit better at these sessions - she still wouldn't sit quietly but she was more engaged in the stories and rhymes. But for the past couple of weeks she's been hard work. Yesterday, she insisted on climbing on and off a soft block intended for sitting on, bouncing on it then jumping off. I was feeling a little embarrassed by it at first, and then another mum told her daughter not to do exactly the same thing and I felt a wave of disapproval that I would let my daughter be so 'naughty'. Whether that wave was real or imagined, I don't know, but try as I might to not let it bother me, it did. She then started to try and escape the children's area by climbing over the gate, which resulted in her getting her feet stuck, shouting, then screaming when I unstuck her feet and carried her back into the circle. When it came to 'Ring a ring o'roses' at the end, she threw herself on the ground in protest, then cried when it was over and she hadn't had chance to join in. I felt so embarrassed by the end I was glad when she bolted for her pushchair and I could make a quick escape. Today we went to a playgroup. She copes much better there as it's mainly free play, although I did have to cope with her shouting, "want a biscuit!" at the top of her voice while the leader was going through the notices before snack time, and while the other children were sat, angelically silent and bemused by my daughter's screaming and squirming. Then at the end of playgroup, she once again refused to join in with a song then cried when it was over because she hadn't had chance to join in. Sigh. I must admit I'm struggling with this phase in Toddler's development, but I know that it's me who needs to adapt to the situation, not her - she's too young to be expected to change. She will learn to be patient, sit still, join in etc. etc. all in good time but she's on her own schedule and I need to respect that. Still, it's hard when I feel like other parents and carers must think she's a 'wild child' and I'm not doing enough to rein her in. I'm very aware that our society prefers to force the child to change, using punishment and rewards, but that's not what I want to do. I trust my daughter to find her own way and I believe that when she does it'll leave her more confident than if I'd tried to coerce or cajole into obedience. So, yes, I need to change. I need to become more patient with her, more organised so I'm not stressing out when she refuses to get ready to go out, more relaxed about how she's experimenting with her own physical abilities. And I definitely need to develop a thicker skin. Because even if people do think I'm not doing my job properly, I know I am. It's just that the job description I've made for myself might be different to the one they've made for themselves. Another child was using the swing she had decided she'd had enough of two minutes ago. The singing fish at a friend's house was singing. I pretended to unsuccessfully pull my nose off. I couldn't fix the crayon she broke. These are a few of the reasons Toddler has cried over the past couple of days. Some of them – banging her foot, and, arguably, the singing fish – were fairly legitimate. Heck, I feel like crying when I wake up sometimes. Others are a bit more out there, and therefore amusing to us adults, with our fully developed brains. About a year ago I first saw that website, 'Reasons My Son Is Crying'. Yes, I chuckled at some of those reasons. But it didn't sit comfortably with me. While other people found it funny, I was picturing the scene: a child in great distress, looking to their parent for comfort, while their parent whips out their camera to take a picture before attempting to console their child. "Oh you're crying – right, hold that thought – where's my phone – that's it, keep crying, keep crying – Aaand – done. Aww, do you want a hug?" I do sometimes make light of the reasons why Toddler cries. Because they can be pretty ridiculous to my grown up eyes. But I try not make fun of those reasons in front of her, and I would certainly never stop to take a picture of her tears before comforting her then post it online. If you think I'm being over-sensitive about this, just think about how you'd feel if the person you loved most in the world, who you felt most secure with, took a picture of you crying and put it online. Does that sound nice? No, it doesn't, does it? I'd much prefer a hug in those circumstances. We all cry from time to time. Toddlers cry a lot because they haven't learnt emotional self-regulation yet, and because this big wide world is pretty confusing when you've only been in it a couple of years and don't understand all the rules yet. While a wry chuckle after the event can help a parent cope with the irrational tantrums, I really don't think we should be withholding comfort and mocking these poor kids online. Toddler bouncing on the bed for 20 minutes when I needed to change her nappy. Peaches Geldof's last column for 'Mother and Baby'. Toddler taking an hour and a half to go to sleep. In isolation, these reasons seem pretty irrational. But other stuff was going on, and these things were the last straw. I imagine it's very often the same for children. And if anyone had taken a picture of me in those moments, they'd have risked not having an operative camera thirty seconds later!! But hang on - is that really a bad thing? After all, she's two. Only two. While crafts and specific messy play activities are nice and everything, is there really anything wrong with a two-year-old just doing her own thing? Today a news story is going round about the chief of Ofsted saying that more children should start school at the age of two. I find this unspeakably sad. In the UK we already have an earlier school starting age than most other countries, despite so much evidence showing that children learn best through free play. Willshaw seems to have missed the point to me: if children are not ready for school at the age of 4 or 5, perhaps the problem lies not with the child but with the starting age - an extra year or two to develop could be all they need. But I digress. My point is, free play is important, especially in the early years. I think it actually helps with communication - Eleanor will chat away to herself while she's engrossed in her play world, mimicking things she's heard me say, lines from books and, ahem, TV. And she will happily line up toys and count them too, so it's helping with her number skills. She doesn't need formal schooling to teach her these things - she's basically teaching herself, we've just got her started by reading, talking about numbers, and talking to her in general. And Eleanor isn't that interested in structured play anyway. I take her to a playgroup once a week where they have a short craft activity at the end. Sometimes she joins in but for the past couple of weeks she's been more interested in playing with their fabulous doll's house. And that's fine. I'd rather leave her to do something she enjoys than try and cajole her into sticking things in the 'right' place and end up finishing it myself when she wanders off! Similarly, at home, if she wants to spend half an hour playing Ring o' ring o' roses with a toy rabbit and orangutan, why should I try to persuade that she'd rather do some painting for ten minutes of entertainment followed by twenty minutes of cleaning up? Don't get me wrong, I'm not saying structured activities are bad. If they're what the child wants to do, then great. This morning Eleanor demanded that we 'bake teddies' (i.e. teddy-shaped gingerbread) at 8.30am. I went with it, even though my preference was for changing out of our pyjamas. But there's enough pressure on parents without them worrying about setting up exciting crafts that they've seen on Pinterest but that will ultimately end up with a half-finished cardboard animal of some description, mess all over the floor and a child who has tottered off to play with their cars. Yes, if the kid is bored, pull something fun out of the bag to mix things up. But if they're happy, let 'em play for goodness sake, and get yourself a cuppa! 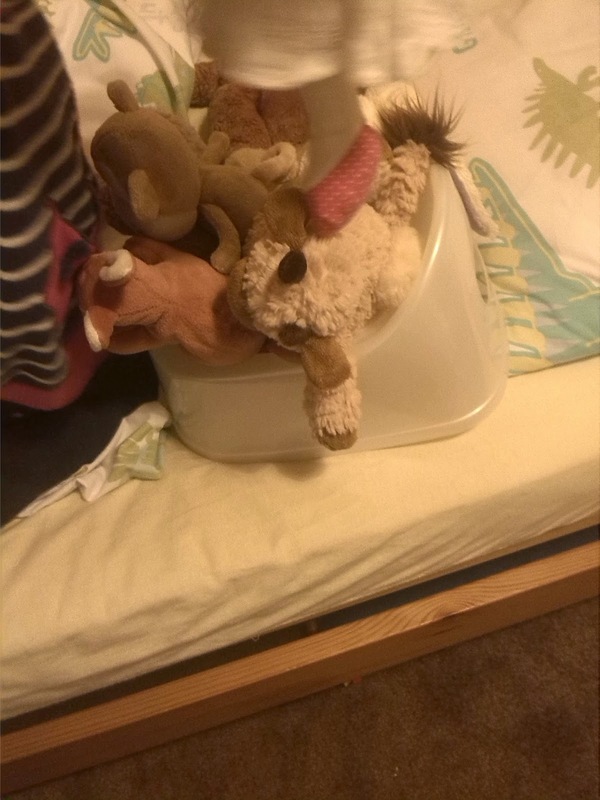 I'll leave you with a picture of a game Eleanor likes to play called See How Many Soft Toys You Can Fit In A Potty. You couldn't make it up. Well, she can. And she did. Because she's two. In short, I want her to be Not Me. That's the thing about parenting, isn't it? We think about our weaknesses and hope that we will find some way of ensuring our children develop the opposite traits. So when I'm feeling anxious, or shy, or hot-headed, I think, "I hope Toddler doesn't have to deal with these emotions when she grows up!" When I attempt anything vaguely DIY related and inevitably fail, I hope that Toddler will be more hands-on and able to deal with practical things. When I'm stuck indoors on a not-too-nice day and getting cabin fever I hope that Toddler will not develop my aversion to cold and rain and mud. The trouble is that children learn by observation, so as Toddler's primary caregiver, what I do will have an effect on what she does in future. Knowing this has made me more aware of my shortcomings than ever, and my attempts to change are often frustrated. For instance, not long after Christmas I dug a hole in the garden to plant out our Christmas tree. I am not at all green-fingered, but hey, I need to learn to do these things, I can't leave all the manual work to my husband, what will that teach Toddler about gender roles? But in doing so, I managed to trigger the SPD I suffered from during pregnancy and spent the following week in agony. Months later I'm still getting SPD twinges. So that went well. Then there's my temper. To talk to, I seem very mild-mannered, but I am easily frustrated and can get a bit, ahem, shouty. I've been really trying to work on this in recent months and most of the time I succeed in avoiding yelling, but sometimes it all goes wrong and the effort to suppress the screamy urge is too much. I want Toddler to grow up to be calmer and more in control of her temper than me, but how will she learn that watching mummy effectively throwing a tantrum?! Although it's hard now, I know that the more I persist in trying to be a good role model to Toddler, the easier it will get as those neural pathways strengthen. Hopefully this will help her to grow into a secure, able and level-headed young woman – with the added bonus that I might teach myself to actually be those things too! Does anyone else find it hard to be a good role model to their children? How have you risen to the challenge? Toddler loves books. I mean, LOVES them. She spends most of her waking time looking at books, whether I'm reading them to her or not. Roughly 85% of what she says is repeated from a book. She asks to go the library almost every day. It's that simple. Read them books, willingly and enthusiastically, and they will grow up knowing that books are enjoyable. I'm actually tempted to leave the guide there, because it really is that easy, but if you're looking for some extra tips, read on. I remember getting frustrated trying to read a story to Toddler when she was around five months old. After just a few pages she started to whine and squirm. She was bored - there were too many words, and seeing as she didn't understand any of them, I can now see why she got so restless. So start out with books that have few words but lots of pictures. Talk about the pictures with them, point things out. Books with flaps and different textures are great for babies. As they get older, gradually increase the word count. Now Toddler is 2 she will happily sit through a full story. Several times over. In one sitting. Also, as your child gets older, be very wary of books 'for boys' or 'for girls'. Children should be encouraged to read whatever they want, not feel that one type of story is off-limits for their gender. Plus, gender neutral books can be passed down to siblings and cousins of either gender, saving you money! Once your baby is mobile and able to pull books off shelves, don't be tempted to hide them away. Let them get to their books, explore them, choose what and when they want to read. I remember a friend telling me they overheard a grandparent in a doctor's waiting room tell their grandson that they wouldn't read him a book because it wasn't bedtime. I found that so sad. Bedtime is a great time to read - but I think that reading to children whenever they ask (as far as is practical) is the best way to really kindle a love of books. 4. Take them to your local library. Toddler really does adore the library, it's one of her favourite places. And it means you can expose your baby to a variety of books without spending a fortune. I try to let her choose at least a couple of books to take home, which means I've read some questionable ones, but she likes getting a say in what she reads and I want to encourage her to develop her own tastes. In the picture above you'll see our copy of 'The Owl Who Was Afraid Of The Dark'. I remember reading this book in Year 2 at primary school and loving it then, so when I saw a second-hand copy for sale when I was pregnant I bought it. Toddler loves it, and I think that's partly because I love to read it, so put that extra enthusiasm into my voice. So if you have an old favourite, dig it out (or track down a copy) and share it with your baby whenever you feel s/he is old enough. So there you are, those are my tips for encouraging a love of books. If you have any tips of your own do comment below. And if you're unconvinced about the value of getting little ones to love books, just think about this. I have a rubbish cold today, but I've managed to get some much-needed rest this morning while Toddler pulled books off her shelves and 'read' them to herself from memory. If that reason is not compelling enough for you, frankly, I don't know what is. This morning, on our way to Toddler's music group, I noticed she was walking funny. Then she asked to be carried when we'd only just reached the end of our street. It suddenly occurred to me that we hadn't had her feet measured in over three months. I know, I'm a wonderful mother aren't I? So this afternoon we took her to our local shoe shop and, sure enough, she's gone up half a size. Time to part with some cash. The shoe shop stocks Clarks children's shoes so we had a look at their girls' range. Every single shoe in Toddler's size had big open bits in the top. They were either Mary Janes or T-bars. (Yes, I had to Google shoe styles to find the proper names!) When we got home we looked at the Clarks website to see if there were any other options, and they did have some trainers, but they were all canvas. Now, that would be fine for indoor wear, or for walking down a clean, dry path. But my daughter likes walking on grass and splashing in puddles and going to places that tend to be muddy. Because she's a child. Children like exploring the outdoors. Obviously Clarks knows that children like exploring the outdoors because the boys' range is so very practical - lots of trainer styles and leather. So how come girls don't get the same options? To be fair, we have previously had some much more practical shoes made by Clarks, but that makes their current range all the more disappointing. They've actually taken a step backwards in the choice they offer to young girls. Yes, I know this is probably their spring/summer range, but do you know what? We live in the UK. It rains here in all four seasons, and grass and mud exist all year round too. So children need shoes that will keep their feet dry for more than five minutes. That's why the boys' range is full of leather trainers. Perhaps Clarks are expecting girls to stay inside until the weather is dry enough for them to go out without fear of messing up their pretty little shoes. Well my girl doesn't. She'd go outside in her pyjamas if I let her. And she doesn't much care about keeping her shoes pretty. She just wants something that fits so she can walk and run and climb just like any child. Looks like I'll be buying from the boys' range then. OK. Before I get started here I want to make something clear. I'm not an expert. I haven't read every book going so my use of parenting terms may be a bit loose. Furthermore, I've only been doing this motherhood thing for 26 months, with one kid. So what follows is what gentle parenting means to me, and is not intended as a judgement on any other way of parenting. Heck, I don't have all the answers, so who am I to judge? 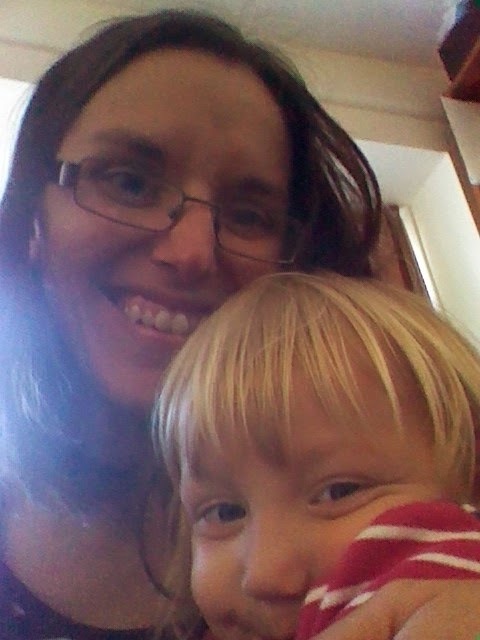 A few times on this blog I've mentioned the term 'gentle parenting'. But what actually is it? Well, despite it's rather woolly sounding name, it's actually rooted in an understanding of the human brain – more specifically, a child's brain. It's also influenced by childrearing practices that are considered completely normal in many cultures, and were probably considered normal in our culture once too. So before anyone dismisses it as a fluffy, new-age fad, it's not. Would I like it if someone treated me like this? Am I being reasonable in my expectations of my child at this stage in her development? Is this helping her to grow into the kind of person I want her to be? Let's look at these each in turn. So, number one. This is a rule I try my best to live by. (Note I say 'try my best'. I'm not always successful. Too often, I'm unsuccessful. But still I try.) I do believe that, as far as possible, you should treat others how you wish to be treated. So it makes sense to apply it to my relationship with Toddler. Would I like it if someone yelled at me? No. Would I like it if someone I love ignored me when I was deeply upset? No. So should I do those things to Toddler? No. There is a limit of course. I wouldn't particularly like someone changing my nappy. And I wouldn't like someone to say no to me if I asked for icecream for breakfast. So, of course, I'm sensible about this – if it relates to health, hygiene or safety I may have to ignore this rule. But most of the time I don't have to. Number two – here's where the science comes in. I'm not very good at science, but one book I've found that explains child brain development very clearly is ToddlerCalm by Sarah Ockwell-Smith (you can read my review of this book here). Basically, I have to continually remind myself that Toddler's brain is very different from mine. Huge chunks of it (the empathy bit, the logic bit, the emotional regulation bit) aren't there yet – or at least they are still massively under-developed. The rest is a mess of links and connections that haven't been pruned down yet. Which explains why an innocent question about what she wants for pudding might trigger off a 10 minute monologue quoting a dozen children's books. She hasn't sorted the wheat from the chaff yet, mentally speaking. So when she's reciting 'Horsey Horsey' to herself instead of telling me which tights she wants to wear today, I have to stay calm and repeat my mantra – "she's only two, she's only two, she's only two ..."
Number three is probably the most crucial question. There seems to be a bizarre contradiction in our culture where we want our kids to be obedient and quiet and do as they're told until they're sent out into the big wide world where they have to be independent and assertive and think for themselves. So as much as I can I try to remember the qualities I want Toddler to possess when she becomes an adult. This means I don't make her say sorry, because I don't want her to grow up thinking that sorry makes everything better. It often does if it's sincere, but using the word as a 'get out of jail free' card is not sincere. It means I think hard before I make a rule, to make sure it's actually necessary and just me exercising my authority for the sake of a quiet life. It means that if she does something wrong, I take the time to explain to her why it was wrong, and hopefully will one day help her to work out how to put it right, rather than inflicting a punishment on her that she will remember long after she's forgotten what she did wrong. So that's what gentle parenting means to me. It's essentially about treating my daughter respectfully – like I would any adult, with the caveat that as she isn't an adult, she'll need a little more help while she learns and grows. Toddler and I were eating lunch yesterday when she launched into a little monologue (as she often does). "Have a bootiful face, think bootiful thoughts, dance like a fairy." Oh great, I thought. That's that awful bit from Sleeping Beauty. And my two-year-old daughter has it stored in her brain. In case you don't know what I'm on about, we have a Ladybird Books version of Sleeping Beauty. I got it second hand when I was pregnant, because I had fond memories of Ladybird books as a child. I'd clearly blocked out the awful messages it gives young girls. What Toddler was reciting was the part of the story where the good fairies give the baby princess her gifts. As well as the gifts listed above, she is also given the gifts of being kind and loving and singing, "like a nightingale." We are not told all the gifts, but apparently these are, "everything in the world one could wish for." Sleeping Beauty - if a man kisses you when you are asleep and therefore unable to consent, that's fine. In fact, go ahead and marry him. Cinderella - you can escape a miserable life by dressing up and pretending to be someone you're not, thus bagging a man. The Princess and the Pea - a 'real princess' (therefore the most desirable wife) is so delicate the tiniest discomfort is too much for her. The Little Mermaid - to gain independence you must lose your ability to express yourself. And to get the man of your dreams you must give up your former life entirely. Or, in the case of the original, give up your life. I could go on. The point is that princess stories aren't the innocent, twee little tales they seem to be. They have a common theme that beauty is all-important, the main aim of a young woman should be marriage, and if life is hard, the best thing to do is wait around for a man to save you. Oh, and once you're married, it's happy ever after. Now, I'm a married woman and I do believe that marriage is important. But it's not the only important thing a woman can do. Nor is it a ticket to everlasting happiness - yes, it does bring happiness, but sometimes things can be hard, and successful marriages require work. And beauty is not all-important - at least, it shouldn't be. Girls and women are equipped for far more than looking decorative, giving a nice twirl and humming a pretty tune. As Toddler gets older I know the princess culture will become less and less avoidable. Eventually she will see the Disney films. She may even ask to buy the dolls, and if not, she'll probably come across them at a friend's house. I'm not sure how I'll handle this. At the moment I can limit her exposure to the handful of Ladybird books she has, and I can interject my subversive comments. But as she grows up with these fictional role models all around her, how do I keep her feet on the ground and help her to believe that she is complete in herself without a 'prince' and that she can aspire to be more than eye candy? I'd love to hear from parents of girls who feel the same way. How do you deal with the whole princess thing? How do you keep it balanced with messages that this isn't all there is to being a woman?